The Weinstein Co., besieged by sexual harassment allegations against its namesake and co-founder, may be putting itself up for sale. Colony Capital, the private-equity arm of Colony NorthStar, was founded by Thomas Barrack, a close adviser to President Donald Trump. Barrack chaired Trump's presidential inaugural committee. 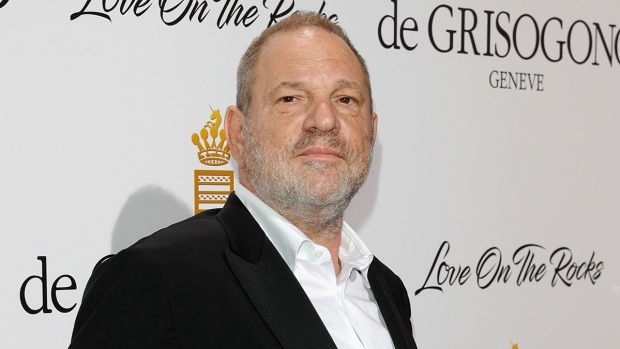 Harvey Weinstein was fired last week by the film production company he helped create. The allegations of sexual harassment and assault against Weinstein span decades and include many of the film industry's leading actresses. The backlash has been severe as more women go public with their interactions with Weinstein. The Academy of Motion Picture Arts and Sciences has revoked his membership, as has the British Academy of Film and Television Arts. "This has got to be a fire sale," said Richard Levick, chairman and CEO of crisis-management firm Levick International. He added that while he doesn't think anyone would be interested in buying the Weinstein name, they might be interested in "buying the pieces." Amazon Studios, the growing film arm of Amazon, cut ties with the Weinstein company last week. Robert De Niro, Julianne Moore and director David O. Russell scrapped an untitled Amazon Studios series that was being produced by The Weinstein Co.
Showtime has threatened to pull out of an Oliver Stone drama in development, "Guantanamo," because Weinstein Co. is a producer. The Producers Guild of America has voted unanimously to institute termination proceedings for Weinstein on disciplinary grounds. The PGA's National Board of Directors and Officers said Monday that Weinstein has an opportunity to respond before a final decision is made on Nov. 6. "The stink from this is so substantial that it makes almost anyone to try to defend them to become an untouchable," Levick said. Word of a potential sale comes just three days after Bob Weinstein, who helped found the company with his brother, Harvey, said that a sale was not an option. Now, Colony will have to weigh a sale price against "brand liability," Levick said. This includes unknown things such as how many more women may come forward. The list of women alleging harassment and assault by Harvey Weinstein continues to grow. More than 30 women, including actresses Angelina Jolie, Ashley Judd and Gwyneth Paltrow — have spoken out. Business writer Stanley J. Choe contributed to this report.